Stephen Hawking expanded our knowledge of the universe and showed that no matter the obstacle, you can achieve amazing feats. You may know him for his best-selling book, A Brief History of Time, for his over 230 publications in various scientific journals, for his appearances on several TV shows, including The Big Bang Theory and The Simpsons or through the Oscar-nominated movie on his life, The Theory of Everything. Or you may simply know him as the brilliant scientist with ALS. However you know Stephen Hawking, it comes as no surprise that he is considered one of the greatest minds of this lifetime, winning multiple awards in recognition for his work in physics and cosmology. 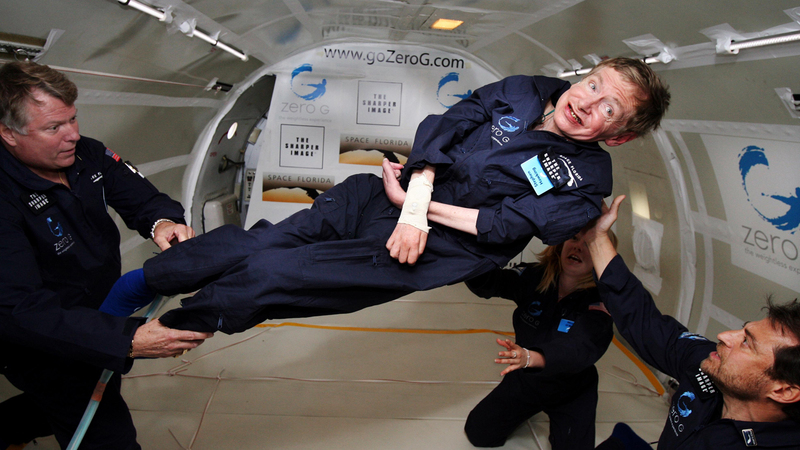 To honour the late, brilliant Stephen Hawking, we asked TopCV senior staff writer TC Paulson to create a CV that showcases Hawking’s achievements across his more than 50-year career theorising about the stars, space and time. 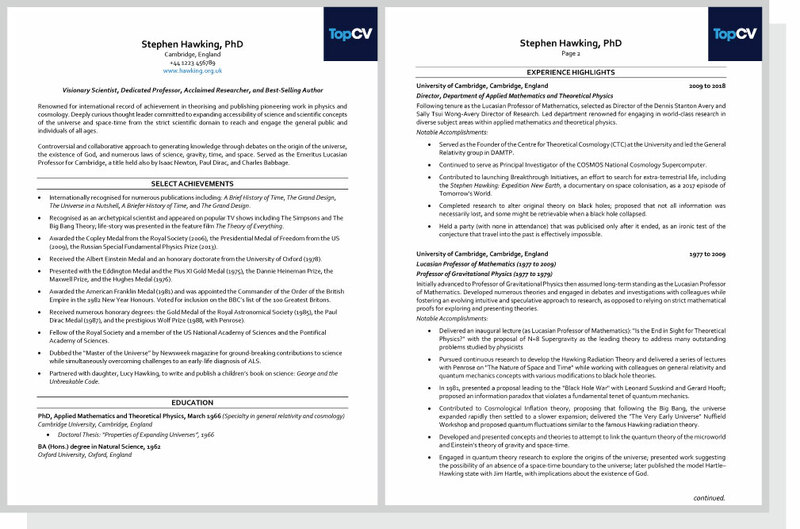 Given Hawking’s work in the field of science and academia, Paulson opted to write his CV using an academic CV format that allowed extra space for Hawking’s impressive and extensive list of publications. Below are the first two pages of his academic CV. We invite you to take a closer look at the groundbreaking work that changed how we perceive space and time, and catapulted Stephen Hawking to the world stage. Find out if you have a job-winning CV. Start with a free CV critique today!